Today, as I was washing my hands in a public washroom at UBC, I noticed there was a janitor mopping the floors behind me. I usually make it a point to thank janitors for the work that they do but I’d never actually had a proper conversation with one before. “Hi! Can I ask you a question?” I said. I explained my project and asked her if she’d share a bit about herself with me. She was excited to share her story! Her name is Rose and she is my stranger of the day. 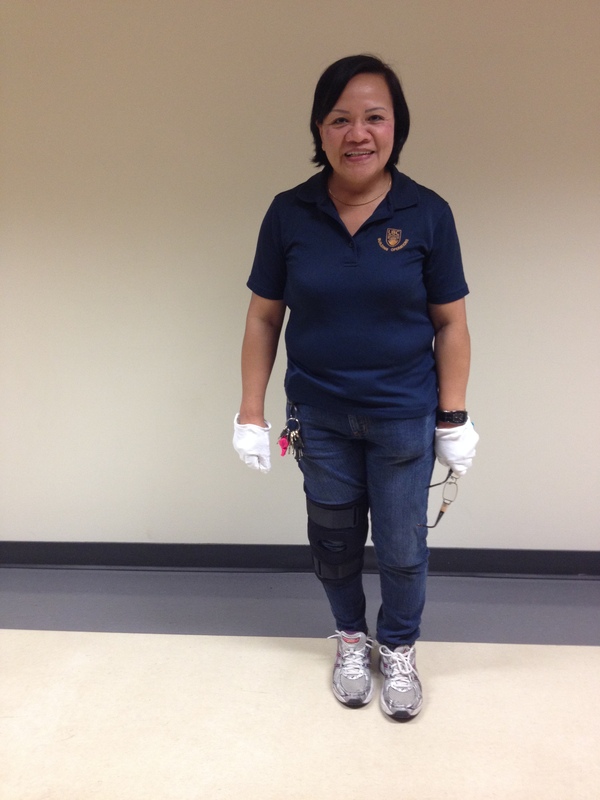 Rose was born and raised in a forest-filled village in the Philippines with no electricity or grocery stores. It was about 5km away from the nearest town. Every two weeks, Rose would walk to town with her siblings, where they would buy food and carry it on their heads back to her village. “It was very tiring”, she explained. Rose has eight siblings. Only two of them were allowed to get an education. So, Rose and one of her sisters tried to find an alternative route to receiving an education. They would visit different schools and offer their services as janitors and cleaning ladies in return for an education. Rose worked tirelessly for her education. And she felt privileged to be able to receive one. She and her sister would then teach the rest of their siblings what they learned, and eventually, through this process, all nine of them were educated. When Rose got a bit older, she left the Philippines to work abroad. She first worked as a nanny in Hong Kong, sending money home to her sons so that they could go to school. One of her sons is now 33 and working as a nautical engineer. The other is 29 and also well-educated. Rose is 59 years old now and has been working in Vancouver for over a decade. She used to work in a bank as an accountant in the Philippines. But when she came to Canada, her years of skill-development and training were suddenly invalid. “I had to start from zero”, she told me, her keys jingling and her white gloves strapped on tightly. She pulled off her gloves to write down something down, revealing her sparkly pink nail polish. “I did it myself”, she said. Her advice? “Always be encouraging.” She went on to explain that having a positive outlook on life is one of the most valuable things out there. “If you focus on the past and think, ‘my family is so poor’, or, ‘I have no opportunities’, then you won’t get anywhere”, she said. But if you focus instead on your potential and what you can achieve, then you can succeed. Always be encouraging to yourself and to others.